Gifted¦ It’s finally spring, although the weather doesn’t seem quite sure about that yet. At this transitional time between colder windy ones days and sunnier warmer ones, it’s time to think about bringing your winter clothing through to this season. By changing up a few things and bringing in some neutrals, you can give your winter whites a new lease of life. It can be difficult to know what to wear sometimes at this time of year. You feel like you need your coat when you leave the house. However, three hours later you’re too hot and lugging it around, wishing you hadn’t bothered. Nevertheless, there are genuinely chilly days where you will still find yourself reaching for a jumper. Neutral tones such as mink or blush are great ways of adding a little bit of spring to your outfit, whilst still keeping warm. The broderie anglaise lace detail along the bottom of this blush pink jumper is another nice touch, making a warmer item feel less wintery. It’s very soft to the touch, too! Of course, a comfy pair of jeggings are a wardrobe staple all year round! This white pair, similar to what you might have in your winter wardrobe, are a very flattering cut. 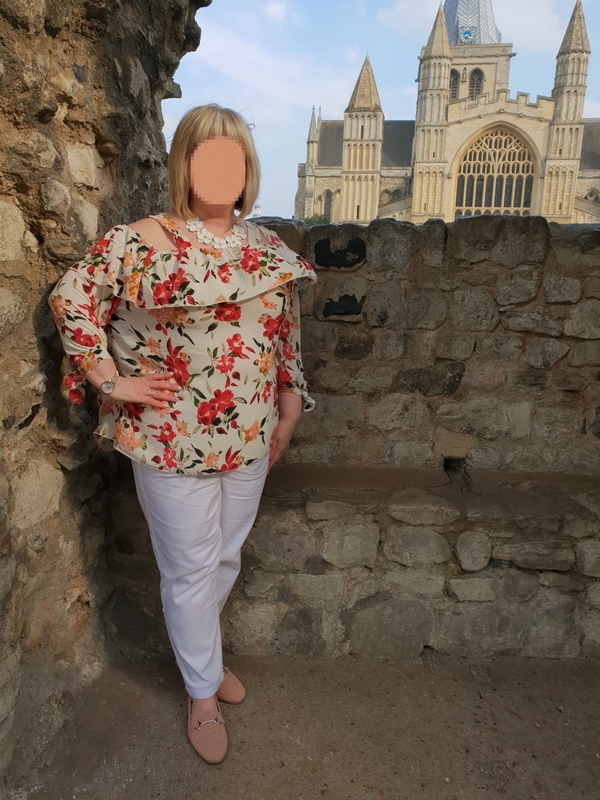 This beautiful bardot style floral blouse with straps is a key piece to take you forwards to summer. 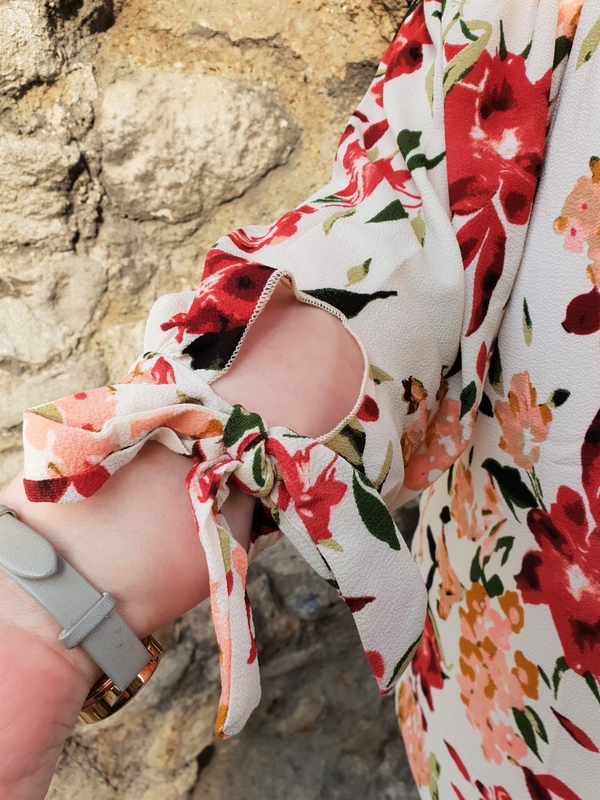 Still neutral, with a pop of colour from the flowers, this is a great addition to your wardrobe for warm days in the sunshine. This would work well for the office, going out for drinks afterwards or for a shopping trip with friends. It’s so versatile, and once again works well with those winter whites. The texture and the bow detail on the sleeves is lovely, too. Of course, you could flip things the other way. You could go for a floral or neutral skirt to go with a white jumper, for instance. Indeed, clothing isn’t the only way you can bring your winter whites into the spring. Accessorising is a fantastic way to do this – and often cheaper. A statement piece in neutral colours works well, particularly if it features flowers or other things associated with the spring. 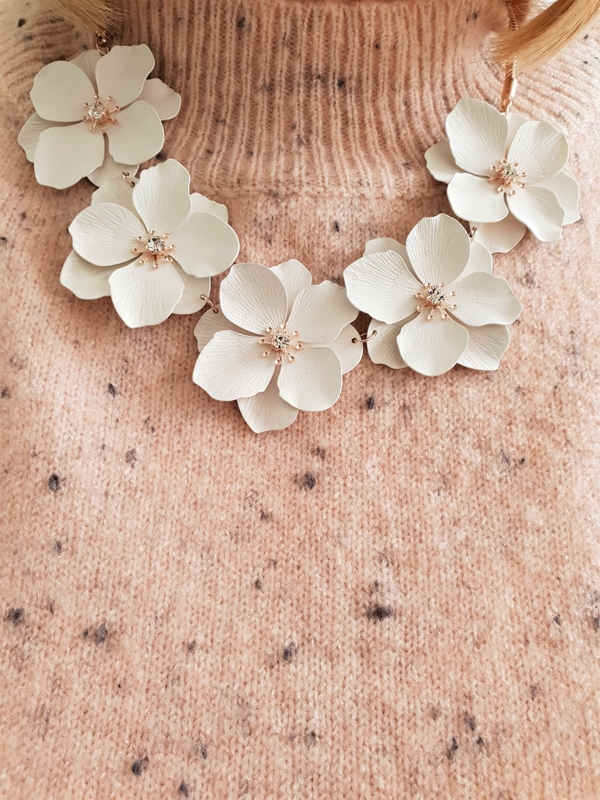 This rose gold plated necklace is extremely versatile and I adore the subtle little bit of sparkle in the centre of each flower. All neutrals are lovely, but I’m particularly liking the rose gold and blush trend which seems to be just as popular as it was last year! It’s wonderful seeing all the beautiful white and pink blossom starting to bloom – and why not take inspiration from it? Disclosure: This is a collaborative post with Simply Be. I was gifted the aforementioned pieces of clothing/jewellery for the purpose of this blog post. Sunday Review: Band t-shirts for mum/dad and baby!